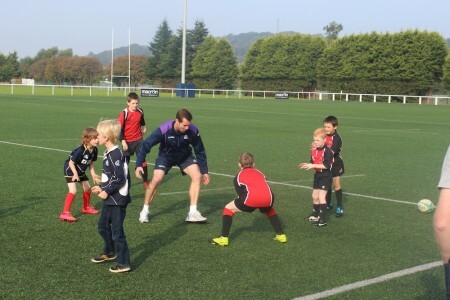 Last Saturday (13 September), nine lucky Young Reds travelled to the BT Murrayfield Stadium for a once-in-a-lifetime opportunity to train with Scotland legend, Chris Paterson, at the home of Scottish Rugby. This golden chance came up, because Finlay and Caroline Crocker, the parents of Wee Red, Calum had obtained the opportunity of a coaching course with Chris and they donated this to the Club to raise funds for Linlithgow’s new indoor Community Training Facility. A draw was arranged for the remaining places and this raised £95.00 for the development. 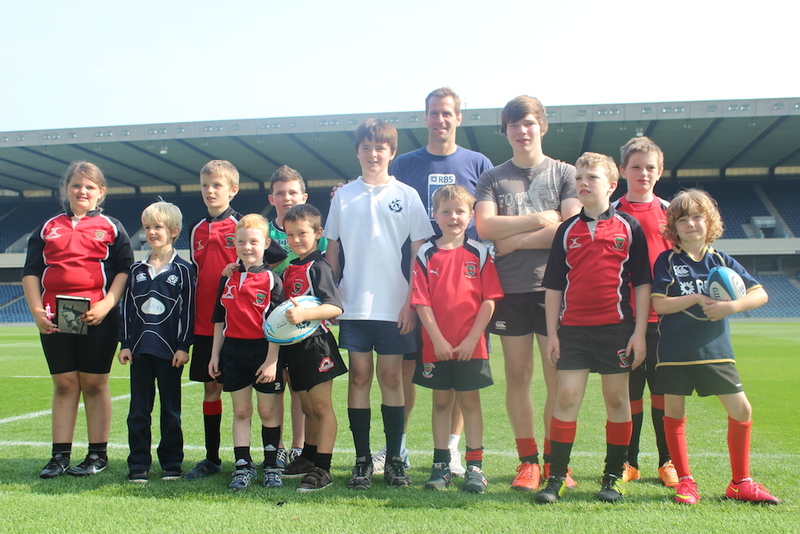 Chris met the players in the West Stand at Murrayfield and took them outside for some skills training and rugby games. After that, he took them on a tour of the tunnel, the Scotland changing room, followed by a a walk on to the pitch where Scotland will be playing New Zealand and Argentina later this autumn. 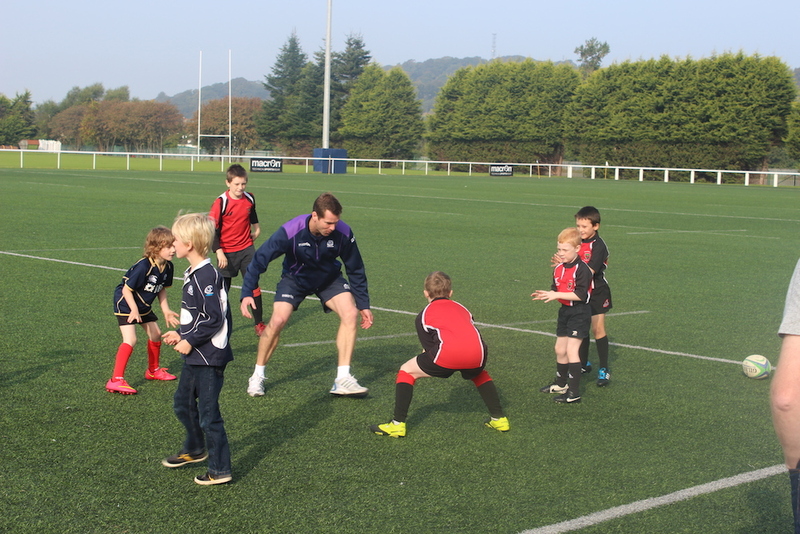 Chris being the great Ambassador for Scottish Rugby that he is was also happy to take questions, photos and sign autographs for the youngsters.